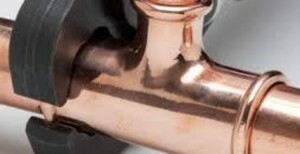 Copper press fittings from M-Press are available from Besseges (Valves, Tubes & Fittings) Ltd and at www.valvestubesfittings.com This versatile quality product can be purchased via our sales team or through the afore mentioned E-Commerce site at very competitive prices. M-Press copper press fittings have all the approvals held by our competitors at Geberit, Sanha and V-Press. To add to the excellent service that M-Press offer as a manufacturer, they have added a warranty insurance that covers a system fitted with M-Press and those of any other manufacturer. So, whether you add M-Press to an existing copper press fittings system or you add another manufacturer to another M-Press press system; the M-Press warranty covers the pipework system. So, if a fittings fails and has been installed correctly to the parameters laid down by M-Press; their warranty gives peace of mind for the contractor and the End User. Contact us for a set of terms and conditions and we will furnish you with the information provided by M-Press Ltd in the United Kingdom; or just contact us to arrange your next site delivery. For further information on copper press fittings M-Press brand click read more. Besseges (Valves, Tubes & Fittings) Ltd are the Northwest’s leading distributor of stainless steel press fittings from M-Press; as well as offering carbon and copper fittings. To cement our place as an M-Press distributor we have like M-Press increased our stock levels; we now include 67mm to 108mm stainless steel press fittings and tube. While M-Press at their West Yorkshire warehouse have invested a great deal in new stock; presently M-Press are carrying over £900,000.00 of product and intend to increase this further this year and next year. Look out for new products due in January 2019 when M-Press will launch a range of M-Press press valves; which will include some WRAS and gas approved products. By 2019 M-Press, one of the market leaders will hold over £1m worth of stock for UK contractors. Click read more for further information on stainless steel press products. Besseges (Valve, Tubes & Fittings) Ltd have offered handrailing solutions for over two decades. For the past decade we have been associated with Fastclamp Handrail as one of their leading North of England distributors. This versatile range of tubular handrail has many possibilities in many applications; safety rails, shopping trolley bays, sports installations, clothing rails and sports nets just to name a few. To ensure a good quality safe installation as well as offering Fastclamp handrail we provide galvanised tube to BS EN 10255:2004. Our tubular products are sourced from European manufacturers, ensuring quality is maintained and certification where required is available. 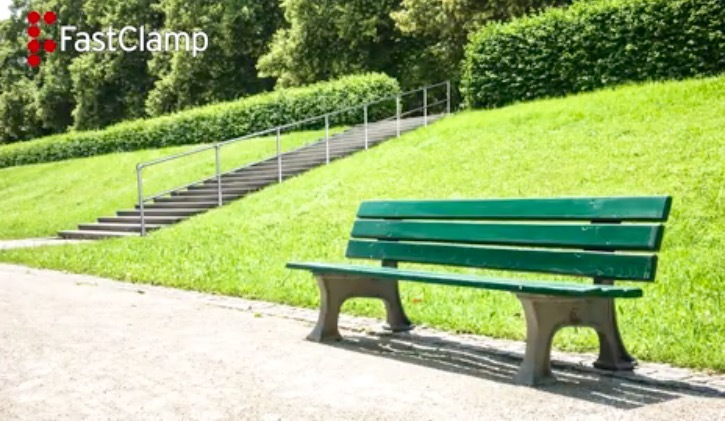 This latest Blog on handrail products will explore the standard and the non-standard uses of Fastclamp handrail. To continue reading just click read more or for stock availability and or prices; contact our sales team. The perfect pint of real ale or even a really good pint of the of beer for those that love their CAMRA pubs and bars; is an art in itself for those that produce Ales and Beers the World over. The key is to produce something that is special to different groups of growing ale connoisseurs. Clearly, we aren’t all Connoisseurs, although many of us would like to think we are; myself included. Ale producers use all their knowledge to brew great beer. Here at Besseges (Valves, Tubes and Fittings) Ltd we use all our knowledge; to ensure they have controlled and efficient steam for brewing the perfect ale. Apart from all the wonderful ingredients required to brew the best IPA, APA, or session ale, steam for brewing the best beers; should be controlled and measured as well. In our experience, ale and beer producers don’t always give the same attention to their steam system as they do to the process of brewing. The truth is they are experts on producing great beer, but often don’t know how best to control heat transfer. This is where specialist steam suppliers like ourselves come into our own; we can fill the gaps in their knowledge and aid in producing efficient dry steam that will improve the entire process. To continue reading this Blog on steam for brewing click read more or for more inforamtion on our products, contact our technical sales team. Can there be anything less interesting than a walk to Stalybridge from Ashton under Lyne; and maybe if you were from the local area you would agree. But there is a great deal of community and history to see on the way and in modern Tameside; you can see the difference between the two towns and the investment in them over the past two decades. Although I write about the Ashton under Lyne community and its history in these Blogs, I am actually a valve and pipeline man from Stalybridge. I Still have some pride left for my hometown, but this has diminished over the years, having watched it decline. To take this walk with valve and pipeline man click read more or contact our sales team for product information and or prices. 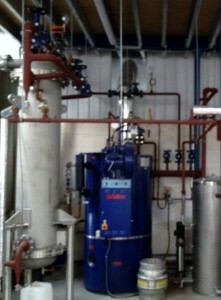 Here at Besseges (Valves, Tubes & Fittings) Ltd and valvestubesfittings.com we are suppliers of flanges EN 1092-1. We have noted that some of our competitors are now offering what we see as an inferior option to what we supply to reduce prices. Our business has been ISO 9001:2008 for over ten years; and because of this we are bound to offer traceable material wherever possible. We feel it is our obligation to our customer base to ensure that they receive the best possible quality product; and of course, that the material test certification is satisfactory. When putting together pressure systems using flanges, the material quality can often be paramount, especially to those welding the product. Now we offer flanges EN 1092-1 in S235JR material, these flanges are available with 3.1b test certificates which applies to that flange. 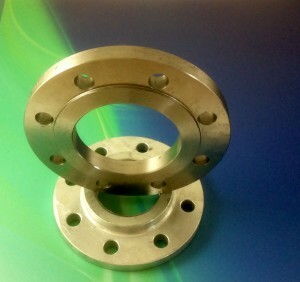 In other words, the flange supplied is completely traceable and the test cert applies only to that batch; as each is stamped with a unique batch number. A Blog from the valve and pipeline man at Besseges (Valves, Tubes & Fittings) Ltd. If you have visited our Blog page you will see Blogs covering many assorted products and subject matter. For a change in direction I have decided to cover a particularly enjoyable walk done on my recent visit to what is my favourite English County, Cornwall; and North Cornwall in particular. 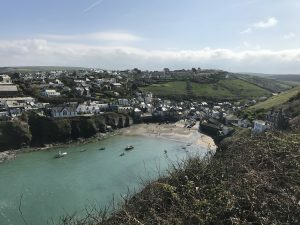 For those who know me and are reading this you will already be aware of my passion for the North Cornish Coast around the village of Port Isaac. 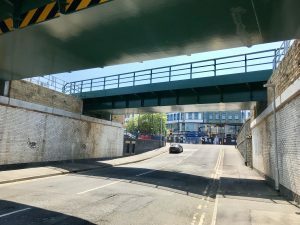 For this reason, I thought I would share this experience and hope it explains my delight at visiting this beautiful area of England. Imagine a sunny morning on the rugged Cornish coast, a little windy but nothing that would cause a problem. The sea reflects the early morning sun, sunlight distorted by the movement of the waves; the weather is fine, the forecast looks good for the entire day. So, the decision is made to walk from Port Isaac to Port Quin in the Civil Parish of St Endellion and of course back again. 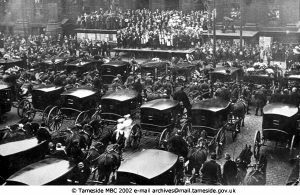 For our latest series of Blogs on Ashton under Lyne, we have chosen to look at the final months of World War 1 and how it impacted on the people and the Town. Tragedy had already hit the local area a century ago last year when the local TNT factory exploded; resulting in many deaths and life changing injuries. A total of forty-three were killed by the explosion at Hooley Hill Rubber and Chemical Works June 13th, 1917. This included seven children from Saint Peters Primary School with one of them dying in the pool at Ashton Baths after the glass roof was destroyed. How European Union standards post Brexit will affect the pipeline industry has to be a question being looked at by many businesses. Assurance can be found on the issue of European Union standards post Brexit on the British Standards Institute Website. In their latest statement assurances that changes will be limited if any after the 29th March 2019. This is because two of the three major European standard providers are private organisations. 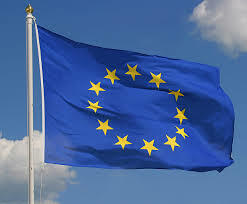 At present on a European level, four organisations facilitate European Union standards post Brexit; they are the British Standards Institute (BSI), The European Committee for Standardisation (CEN), The European Committee for Electrotechnical Standardisation (CENELEC) and The European Telecommunications Standards Institute (ETSI). Both CEN and CENELEC are private organisations and independent of European Union bodies; and the BSI state clearly their intention to remain members of these organisations. What they have failed to mention is whether they will remain ETSI members post Brexit. The good news for the pipeline industry is this organisation has no influence on our products, as far as we are aware.